Thanks to the rain on Saturday morning I was able to get a hold of Frank and Felix and start to help them out of their messy, felted winter coats. Frank was a tough job. Most of his neck and upper back was felted all the way down to the skin. I think that he feels a lot better now that he’s free of it, even though he wasn’t too pleased about me fussing over him for so long. I found it interesting though that his chest and sides were starting to shed on their own- I don’t remember him doing that before. At least it made that part of the job go much more smoothly. Felix’s neck was pretty felted too, but was easier to get away from his skin, so it went a little faster. Both of them have such beautiful wool. It’s a shame that so much of it ends up unusable. 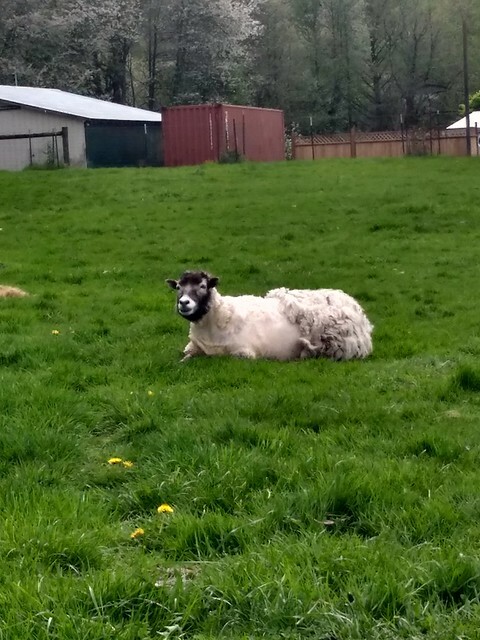 I think I’m going to try the fall shearing again this year and see if that helps. In other wool news, I finally spun up a skein of my saved up Sadie undercoat blended with Edgar’s 2017 fleece. Now I just have to find the right way to use it. 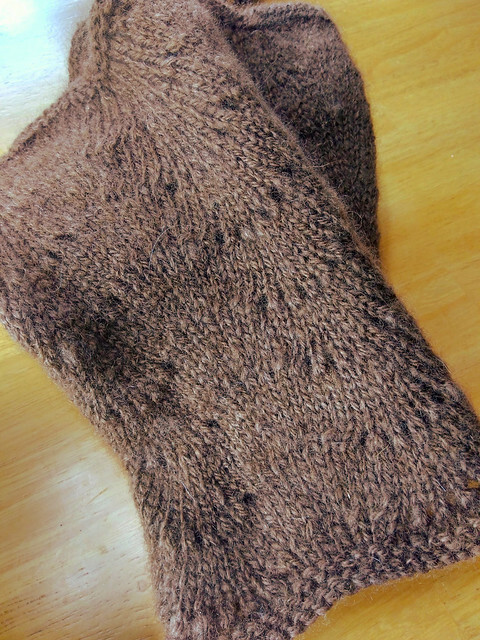 Between the rich brown color, soft hand & squooshy crimp I enjoyed every minute of this little cowl! 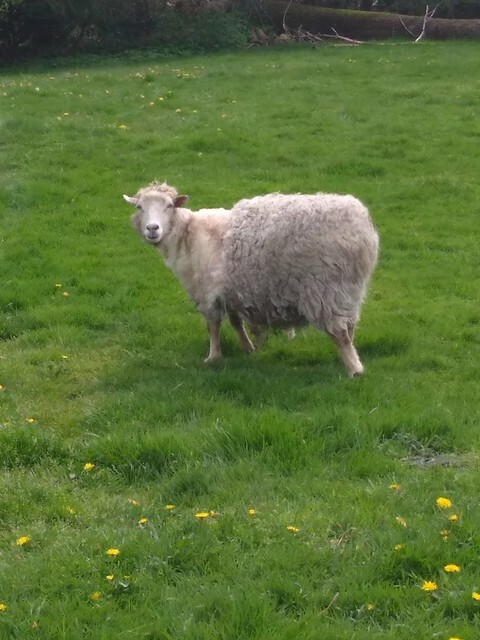 Was just cruising around in the wool room this weekend when I was reminded that I hadn’t yet done anything (besides washing) with the amazing BamBam fleece that I brought home from Schoonover Farm shearing day last year! So I dove in and started carding some up. Just a couple of ounces to satisfy my urge to give it a test-drive. 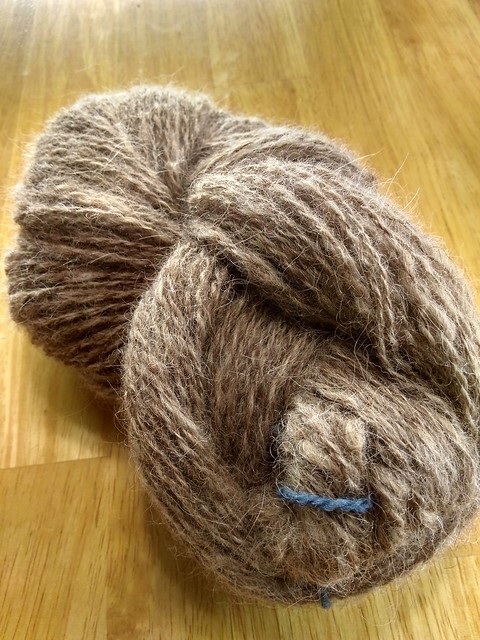 It’s really soft fine- and I left a little bit of lanolin in it (just a personal preference thing for spinning). It’s still hanging up to dry, but here is a photo I took just after plying. Should fluff nicely once it’s all washed up and dried. It’s the most beautiful rich golden brown.